After months and months of red tape, mountains of paperwork, and weeks spent abroad in a foreign country, we finally returned home with our son. I remember receiving an email from our agency congratulating us on our journey and welcoming us home. All that was left was a few post-placement visits and when we had a moment, could we please advise them if we wanted to readopt. Wait. What? Hadn’t we already adopted our child in China? I was confused. While it is true that children admitted to the United States on IH-3 or IR-3 Visas automatically become citizens, readoption is the legal process wherein the child is adopted again in the United States. Twenty-nine states recognize foreign adoption decrees, including our home state of Virginia, so why would we want to undertake more paperwork and further legal fees? During our first meeting, our adoption lawyer shared with us the story of a client who readopted their daughter after 17 years. The reason? Though the family had a foreign adoption decree, in order to obtain a promised scholarship from their daughter’s university the parents needed a certificate of foreign birth. A certificate of foreign birth is issued by the state once the readoption is finalized. It’s a relatively easy process but the key is to have all the necessary paperwork. Remember those huge files you lugged around in-country? All needed for your readoption. The lawyer’s point was it’s better to readopt now (when you know where all your paperwork is) rather than 17 years from now when you might have to dig around your attic to find proof of your child’s adoption. Depending on your child’s birth country, your child’s name may or may not appear correctly on your foreign adoption decree and other legal documents. Because these documents are used by other federal entities, such as the Social Security administration, this can create an extra hurdle when it comes time to register your child for school or to apply for a U.S. passport. Though unlikely, in the event that relations between the U.S. and your child’s birth country change you and your child will be protected. Readopting your child is legally binding in the United States, and thus not dependent upon a decree by a foreign government. But there is a practical side as well. Like those parents who waited 17 years to readopt, in the event your original adoption documents are destroyed or lost the U.S. legal system will have a record of your child’s status. And should your child decide to pursue higher education, or get married, or even adopt themselves, it is much easier to find a domestic record than a foreign one. Ready to readopt? 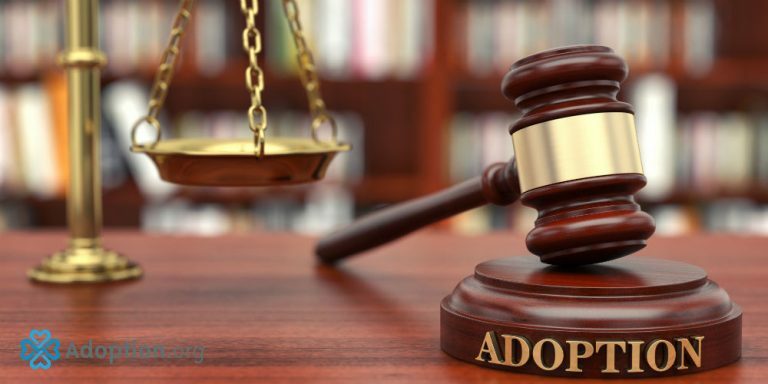 You can find a list of attorneys specializing in these proceedings in your area here: American Academy of Adoption Attorneys. Be sure to check with your state to see how long the child must be in your care before pursuing readoption. Typically, you will have to wait until your first post-placement visits or roughly six months. Jennifer S. Jones is a writer, performer, storyteller, and arts educator. In a small government office in China, Jennifer became an adoptive mother. She is passionate about the adoption community and talks about the ins and outs, ups and downs, joys and “Is this really us?! ?” whenever she can. She writes about her experiences at www.letterstojack.com.